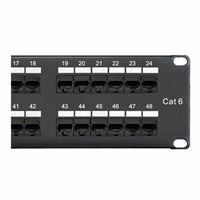 Shaxon's 48 port RJ45 to 110 Category 6 patch panel provides an wiring organization point for 48 permanent cabling runs between wiring closet and user outlets. RJ45 jacks on the front commonly connect a switch or router to the panel via patch cables while the corresponding 110 clips on the back are terminated with the permanent cabling runs. Color coded 110 clips make wire termination fast and simple and feature the appropriate color code for either 568A or 568B terminations. The panels come with a lite duty 110 tool for terminating wire and 110 stuffer caps to protect the finished terminations. 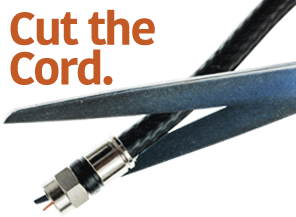 Category 6 is a future forward networking standard, providing a backbone for transmission speeds up to 1000 Base-T and is backwards compatible with both 10 Base-T and 100 Base-T. Category 6 is superior to Cat5E in bandwidth, signal to noise ratio and lower attenuation or signal loss at high frequencies.